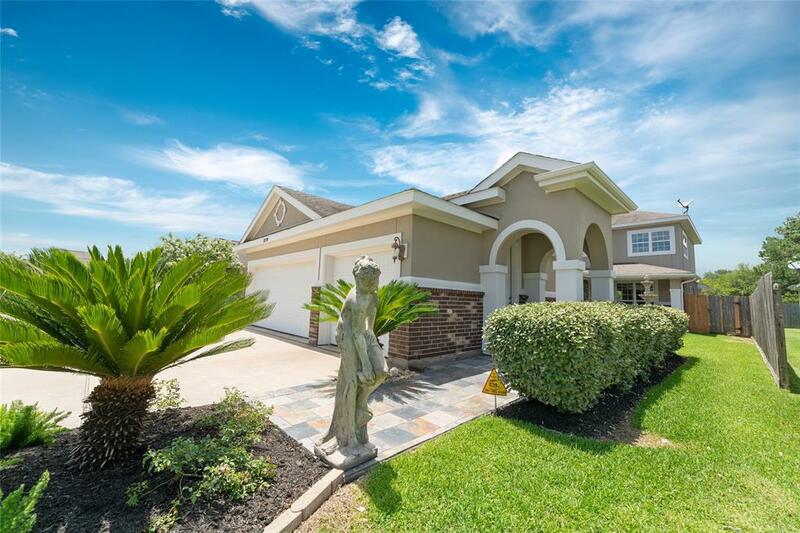 Beautiful 2 story home with 4 bedrooms, 3 full baths, half bath, and a 3 car garage. 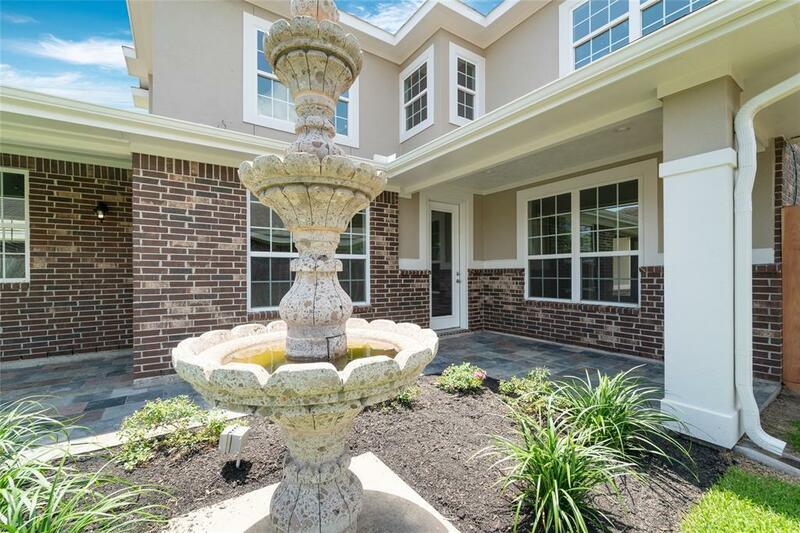 Charming atrium with lovely fountain as you approach the front door. First floor has gorgeous wood flooring in the living area, kitchen and dining area. Kitchen boasts of dark wood cabinets and granite counter tops to accent. Stainless appliances, large island and lots of storage space. Master Suite is on the first floor. 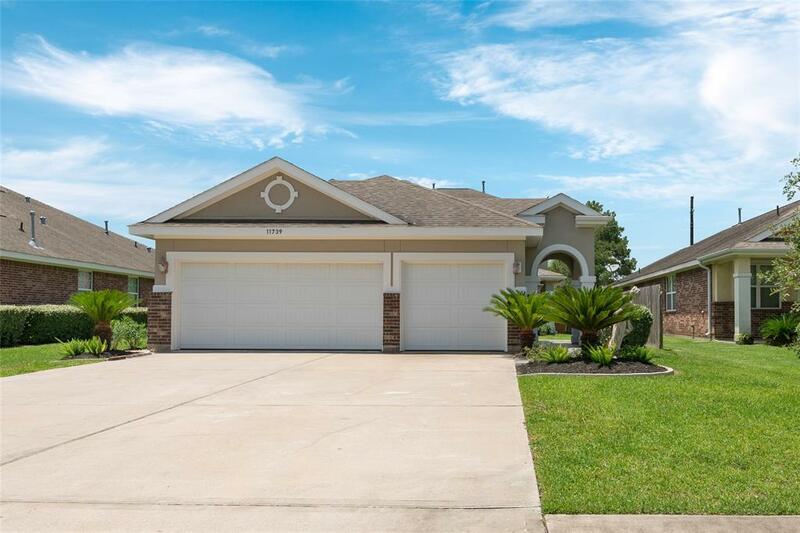 Master bath has separate vanities with granite tops, walk-in shower, garden tub, and large walk-in closet. Upstairs has a large gameroom, 3 nice size rooms and 2 full baths. One of the upstairs bedroom is a suite with its own full bath. Villages of Champions Gate is a quiet neighborhood in Barbers Hill ISD. This neighborhood has one way in and one way out. 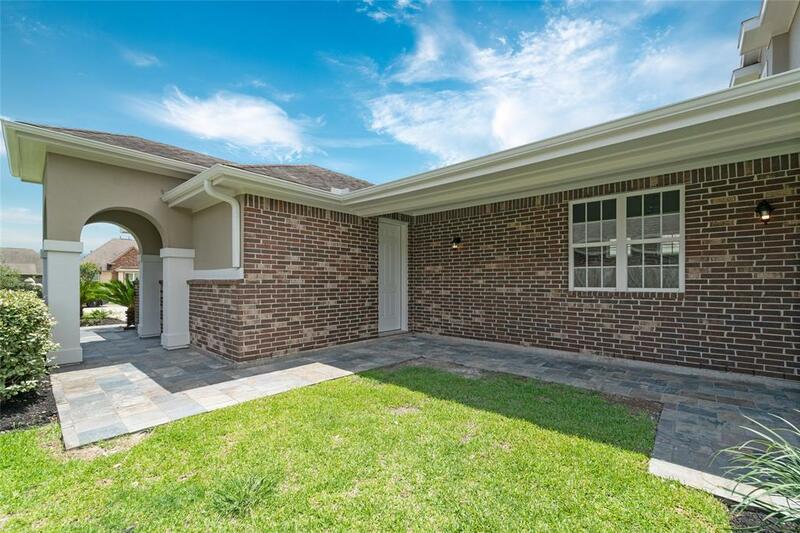 Close to Eagle Pointe Recreation Center.